Meet Julian Raine from Wai-West Horticulture. He knows a thing or two about boysenberries and has grown them in the Nelson region for more than 30 years. 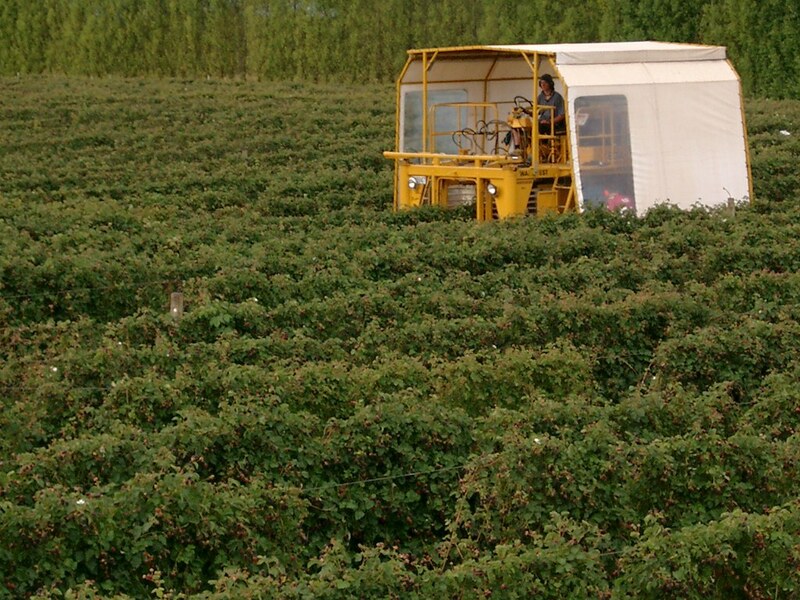 Nelson is the ‘world capital’ of boysenberries, producing more than 50% of the globe’s boysenberries! We use locally grown boysenberries for Anathoth Farm Boysenberry Jam, of course! Why is Nelson so ideal for growing these high antioxidant berries? Nelson’s geographic position protects the region from the prevailing westerly winds, receives around 2500 hours of sunshine annually and 1000mm of rain. The perfect combination of daylight hours and rainfall is essential however the winter chill is also an important factor for boysenberry growing too. 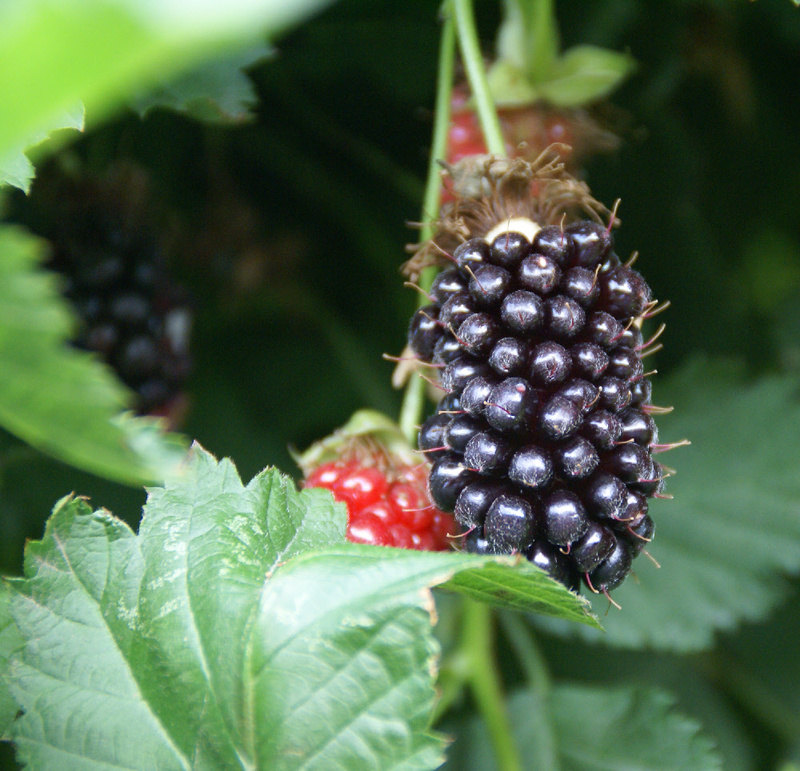 Derived by a Swedish immigrant to California, Rudolf Boysen, back in the early 1900s, boysenberries are a cross between a raspberry, loganberry and blackberry. They were brought to New Zealand in the 1930s. Boysenberry canes grow from a crown. It is important that they receive plenty of sun so are grown along a trellis where they can be fanned out, enabling plenty of sunlight to penetrate. In October the boysenberry will blossom from the outward tips of the canes first then venture backwards along the branch. The boysenberry is in flower for a month and honey bees love it as it is high in nectar and a great food source. Not all fruit blossoms have nectar so sweet and some growers need to introduce an alternative source of sweetness to satisfy the bees’ needs (eg: for the likes of kiwifruit and tomatoes). Once pollinated, the boysenberry drupelets will develop. The ‘hairs’ clearly visible on the fully grown fruit each represent a successfully pollinated part of the original flower. Come mid-December, the month-long harvesting begins. As the plant flowers at different times, it too ripens and must be harvested at different times. Every 3-4 days throughout the harvesting period, each plant will produce ripe fruit ready for picking. A harvester straddles the rows and shakes them gently, collecting the ripe fruit as it falls. 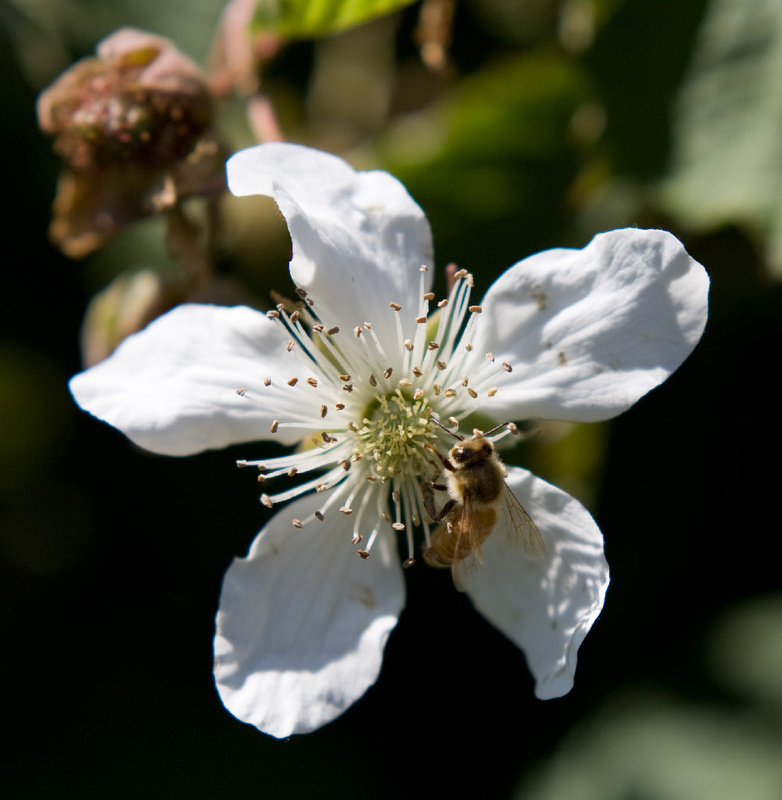 Bees are critical to a good boysenberry crop and are brought in during the one-month ‘window of pollinating opportunity’ while the boysenberry is in flower. The honey bee needs two sources of food: pollen, being a source of protein used to build the hive, and nectar, which is converted into honey. When bees lay down new parts of the hive, they transfer the eggs into cells with pollen (protein) to help the young brood develop and grow before emerging, then store honey in other cells for energy and food during winter months. Bees are curious. They have a job to do and will gather the closest food they can (although can fly up to 8kms) and will perform a dance at the entrance to the hive to tell the others where they’ve found the food. They are a very organised community! Cold weather and wind will have an impact on their pollination duties and can be fickle. Lack of, or miss timing of pollination, naturally results in poor yields – not only for boysenberries but all fruits requiring bees’ magical touch. 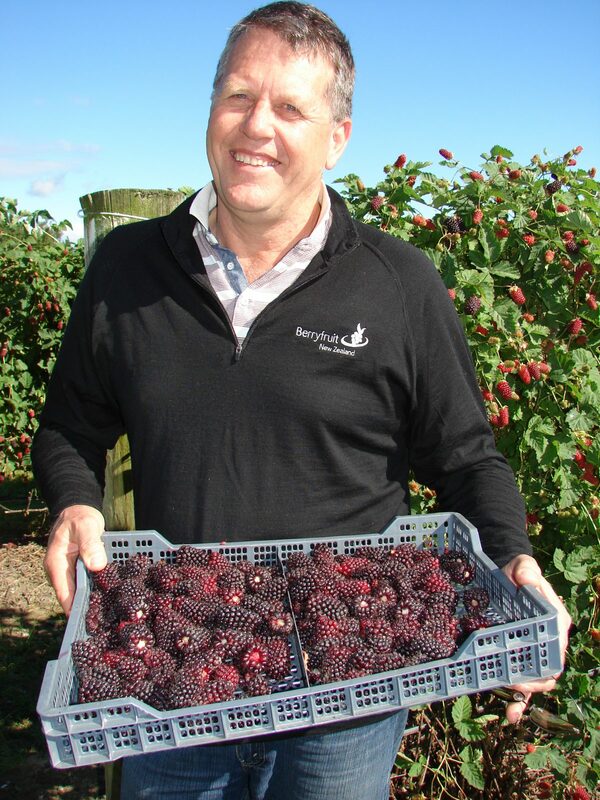 Julian wears many different hats outside of boysenberry growing: from growing hops, blackcurrants, kiwifruit and apples; Director of Berryfruit Export NZ, President of Horticulture NZ; to dairy farming 600 cows! When Julian does have a moment spare, he enjoys a spot of fishing for local blue cod, sailing and spending time with his wife Cathy.